Kass Sadri, M.D., F.A.A.D. 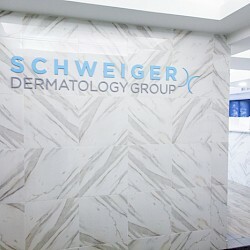 is a board-certified dermatologist treating patients at Schweiger Dermatology Group in Garden City, Long Island. Dr. Sadri earned his undergraduate as well as his medical degree from Pahlavi University in Iran. Dr. Sadri went on to continue his medical training with an internship in internal medicine at Mount Sinai Hospital in New York City, and a residency in internal medicine at Sinai Hospital in Baltimore, Maryland. Dr. Sadri completed his dermatology residency in the department of dermatology at Columbia University College of Physicians and Surgeons in New York, where he received the prestigious honor as chief resident. Dr. Sadri is a Fellow of the American Academy of Dermatology (F.A.A.D.) and a member of the American Board of Dermatology. He also serves as a presenter at the New York Academy of Medicine.